After the success of the Bolshevik Revolution, the Tsar Nicholas II of Russia abdicated in 1917. He and his family were taken to Yekaterinburg, where they were kept as prisoners and finally executed under direct orders of Lenin in 1918. Their bodies were buried in a mass grave and forgotten for decades. 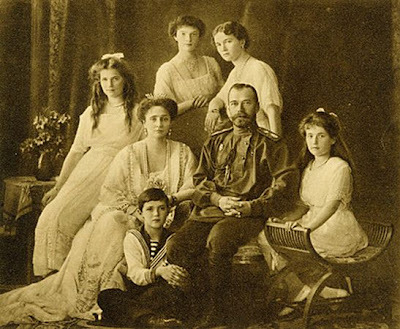 Several people proclaimed to be one of the Tsar's children, saying they had escaped from prison before being executed. Thanks to several DNA recognition techniques, including short tandem repeats (STR), heteroplasmy and mithocondrial DNA studies, and the collaboration of distant relatives of the Tsars, the bodies were identified from the mass grave in 1991. Mithocondrial DNA is inherited only from the mother, and that helped for recognition between brothers (having the same) and between mother and her children. There appeared the bodies of Tsar Nicholas and Tsarina Alexandra, and three of their children. But there were two bodies missing, presumably those of Alexei and Anastasia. The confusing situation of the Tsars dead opened in the 20's the possibility for impostors to try to impersonate Anastasia -as well as other brothers or sisters of her family-. 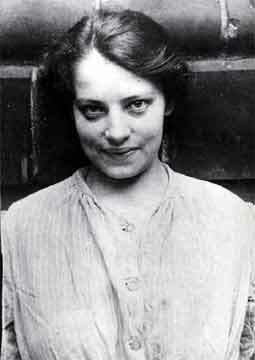 The most famous case was the case of Anna Anderson, who said she was the Grand Duchess of Russia in 1922. People close to the missing Anastasia said it was a fraud, but she had a huge media impact, and the potential for 100%-sure recognition of the time was very limited. Fortunately, when communism collapsed, more remains were found in Ekaterinburg, in 2007. Thanks to more advanced recognition techniques of the mithocondrial DNA (huge database of samples to compare with) of Anna Anderson retained at the hospital where she lived, it was finally demonstrated that she was not the Grand Duchess. Finally, genetics gave a solution to an almost hundred years doubt, and explained the real end of the Romanovs. Mithocondria is more than energy, is another small personal code.